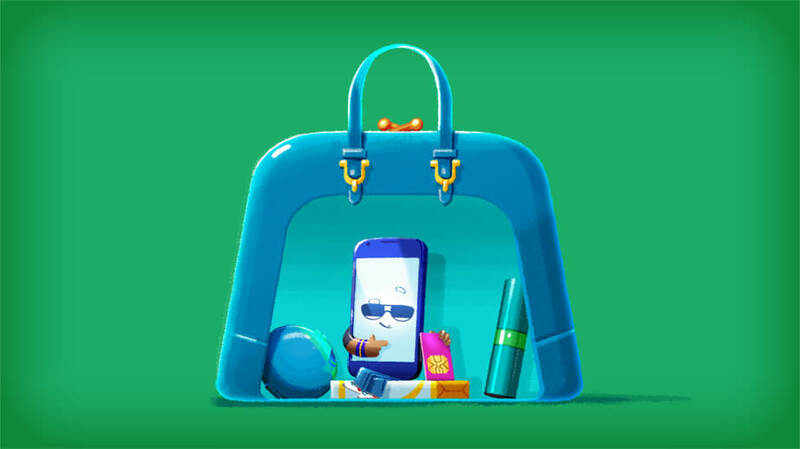 VML approached Mighty Nice to create a campaign that outlined the diversity of the new Moto G as an unlocked phone. MN were asked to bring this new feature to life through a series of three fun, humorous and engaging animations. In order to bring this feature to life, the Moto 4G phone came alive. 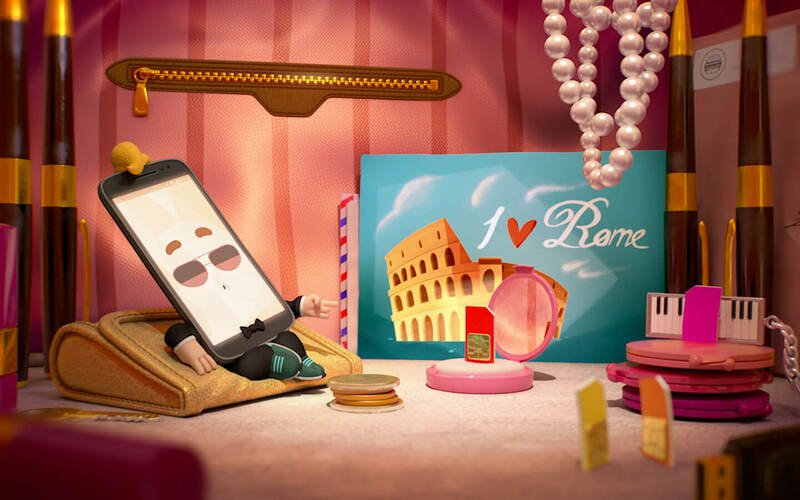 The phone became a charismatic personality with loads of “awkward charm” whilst moving around miniature environments. 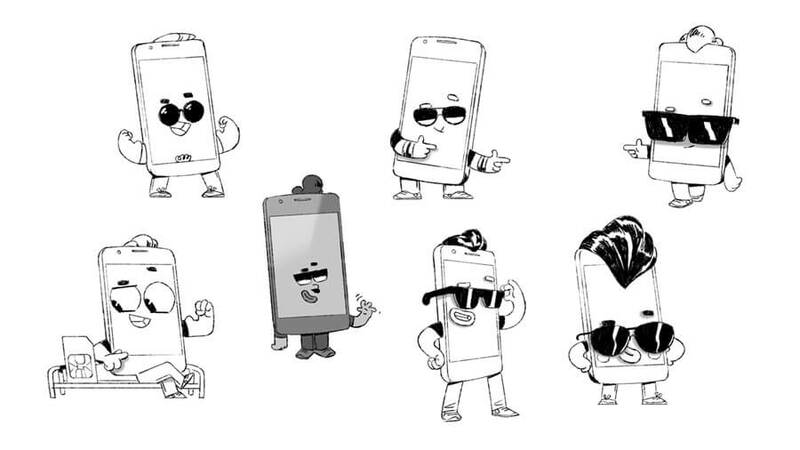 Due to some well crafted comedic scripts, MN had a great time gradually bringing the Motorola’s lines to life through our Jonny Bravo style character. The environments were an exciting challenge too – realising clever ways to use real world props to create the charming macro worlds for our phone and Sims to sit. The challenge was to keep our Moto character the perfect level of sleaze. He needed to be amusingly overconfident in the delivery of his lines while remaining likeable with a charming determination. A fine balance of detail & design in the stage settings whilst still keeping the focus on the action was another obstacle. 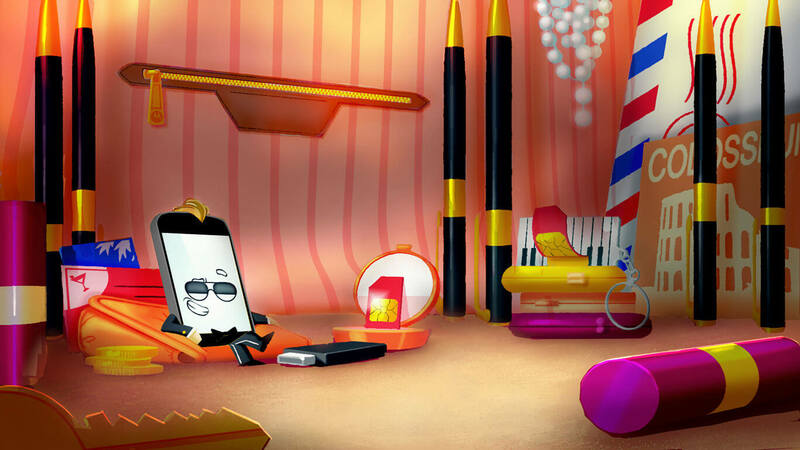 The result is the Motorola character is confident in who he is – he has pure self-belief and is unapologetic in his demeanor. The MN team worked hard to capture the mood for each environment and did a great job carrying this through the process from the concepts to the lighting and final compositing. 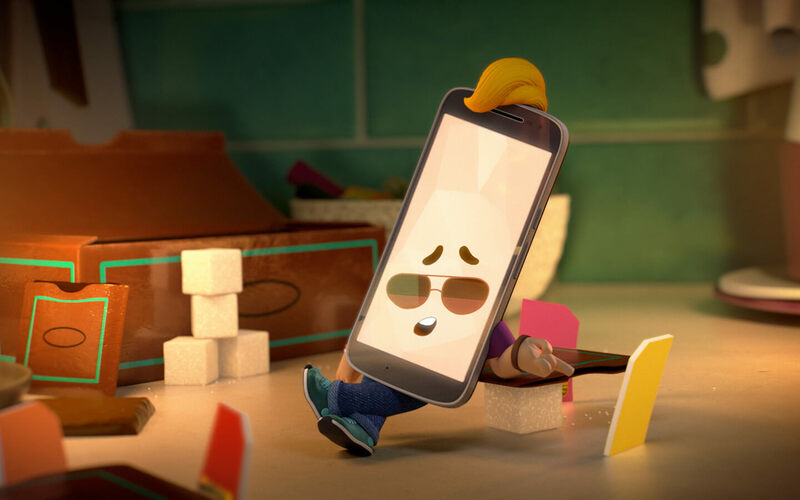 The palettes and the visual charm of the ads, matched with the comedic timing of the character allow for a great campaign for Motorola. The project was well setup by Michael Shorten’s early development work to get our ideas across the line. Then the steady hand of Alice as Director led the project through to the end, always with a keen eye and many hours refining the look.